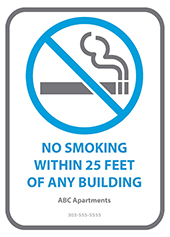 Smoke-free housing is a growing trend in the United States and in Colorado. Secondhand smoke has no boundaries and can drift between units through cracks in drywall, open windows, ventilation systems, and even plumbing. 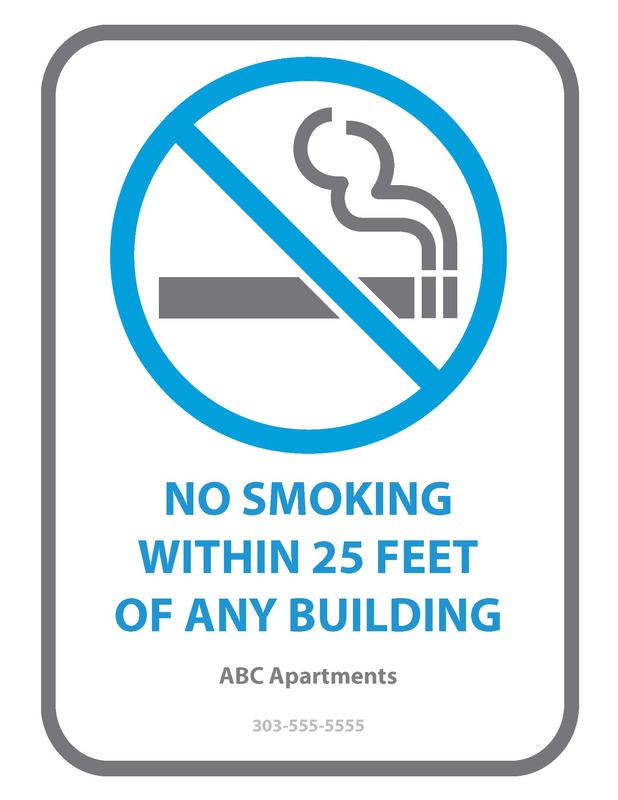 Adopting a smoke-free policy is the only way to eliminate exposure to secondhand smoke in a multiunit building. Save Money: Cleaning costs of a unit where smoking occurred can be 2 to 3 times more than a nonsmoking unit. 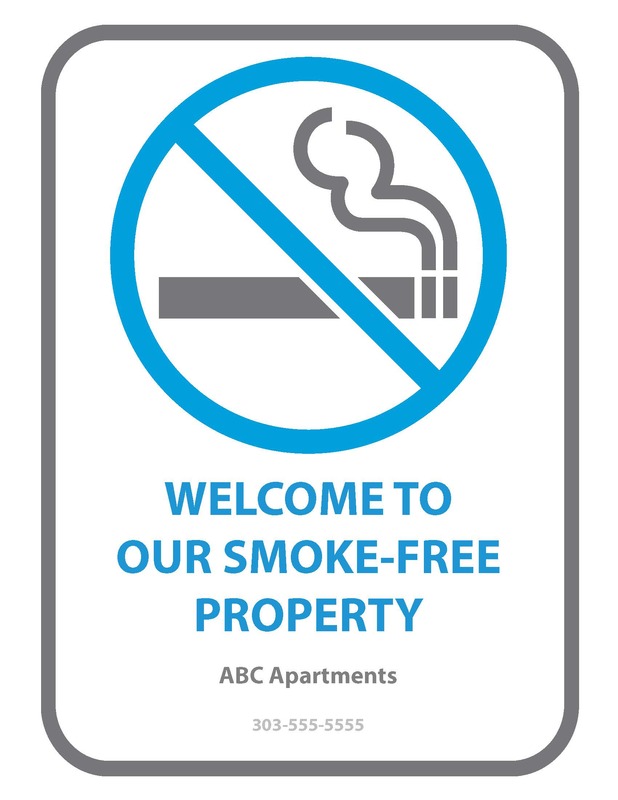 A smoke-free policy reduces the cost of cleaning, repairs, and replacements, reduces the risk of fire and damage, reduces staff time on maintenance and complaints, and improves property value. 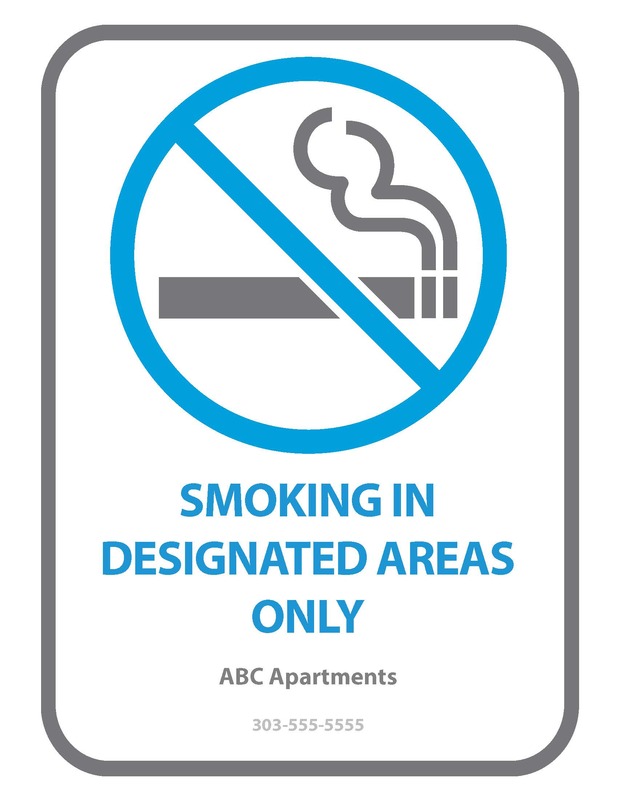 Protect Property: There are over 7,500 smoking-related fires in residential buildings every year and 67% of fires on the property of residential buildings are caused by discarded smoking materials. Smoking-related fires are the #1 cause of fire death. Attract Residents: Almost 90% of Boulder County adults do not smoke and many prefer smoke-free environments. 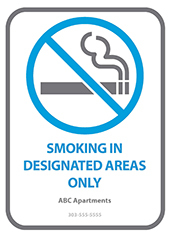 Boulder County residents are used to smoke-free environments in restaurants, bars, and other public places. And, 87% of Coloradans have adopted smoke-free rules for their home. Ensure Health: Up to 65% of air can recirculate to other apartments in a multi-unit building. Even small exposures to secondhand smoke are harmful and can trigger a heart attack, an asthma attack, or a stroke. There is no safe level of exposure. 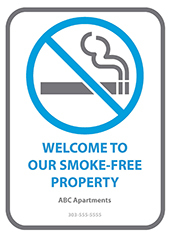 Let residents and their visitors know about your smoke-free policies. TEPP staff will work with you to design custom signs for your property. Signs come in multiple sizes and can be printed at a local print shop. Additional version are also available.